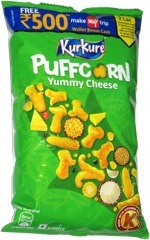 Taste test: These are thick-cut potato chips had good crunch (extra thickness will do that for you). I couldn't taste the olive oil, but I could tell the chips were cookied in oil as opposed to baked. The chips did have a bit of a greasy aftertaste, so you won't want to eat a whole batch in one sitting. 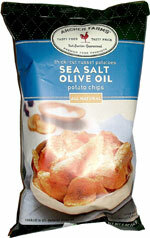 Just ignore the "olive oil" part and consider these as thick potato chips with a good salty taste.